She doesn't get the same level of props as Michael Moorcock. But Katherine Kurtz, author of the Deryni novels, had a huge impact on fantasy, argues a new essay over at Strange Horizons. Starting in 1970, her books were the first of a new kind of fantasy — closer to historical fiction than epic quest narratives. On the surface, Deryni Rising is a deceptively simple book. It recounts the events surrounding the sudden death of one king and the anointing of his underage son as successor. It’s a secondary world fantasy, set against a background loosely reminiscent of fifteenth-century Britain, with names drawn rather unevenly from Welsh, Irish, French, and Germanic sources. The bulk of the cast are aristocrats and male, and high aristocrats at that: this is a tale of kings and dukes and court intrigue. There is an external threat with a mildly orientalist flavor (this latter is demonstrated to be more complicated in later volumes) and a clear sense of right and wrong. The fantasy element lies in the “Deryni” of the title: this is a world of hidden psychic powers, some genetic, some achieved via ritual magic. To a reader in 2015, this all probably sounds rather familiar. But in 1970, it was not. The bulk of the fantasy in print at the time was sword and sorcery, in the mode of Howard, and written in pulp style, or heavily formal so-called “High Fantasy” modeled on mediaeval prose tales and folklore—the works of Tolkien and Dunsany and Eddison—plus the occasional alternate history, such as the Lord Darcy stories of Randall Garrett. The former was full of colour and action and broad-brush heroes; the latter of stately events and curiosities. Neither involved much close attention to the internal lives of their characters. 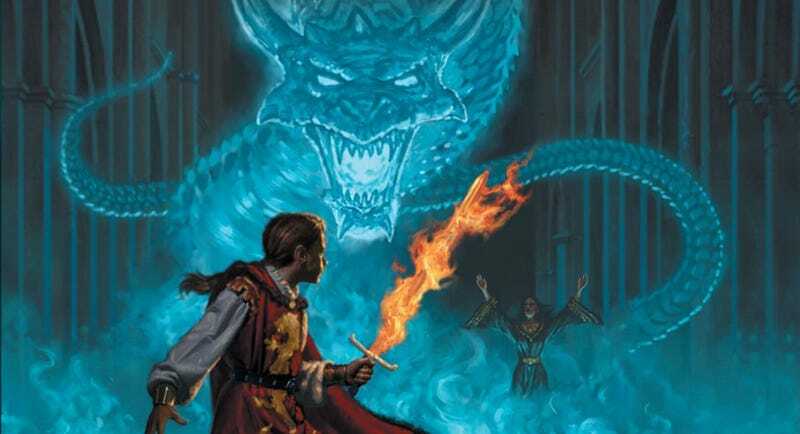 Deryni Rising is unequivocally fantasy, but it is written more in the mode of the historical fiction of the time than its companion books on the Ballantine and other lists. In terms of style, it is closer to the complex and thoroughly researched novels of Dorothy Dunnett, Maurice Druon, and Zoe Oldenbourg than the fantasy that surrounded it (including Tolkien, who chose mythology over realism). Its treatment of magic too was dramatically different. This is a world of highly formal, ritual magic, without sorcerers, or demons, or exoticized and stereotypical “witchdoctors.” Magic requires training, careful and sometimes demanding preparation. It is never easy, or casual, and it is hard to come by. Before Kurtz, most magic in fantasy was picaresque, mysterious, and informal (with the exception of Garrett). Her handling of magic and its consequences and cost are like those of the occult novelists such as Dion Fortune, many of whom were themselves practitioners of ritual magic and drew on that in their fiction. And it is set against a background of closely observed and detailed faith, which is closely intertwined with every aspect of her characters’ lives.